Dirty Bamboo Floors - Can I Use A Steam Mop To Clean? Home › Flooring › Dirty Bamboo Floor – Can I Clean It With A Steam Mop? Dirty Bamboo Floor – Can I Clean It With A Steam Mop? I’ve got a dirty bamboo floor – can I clean it with a steam mop? 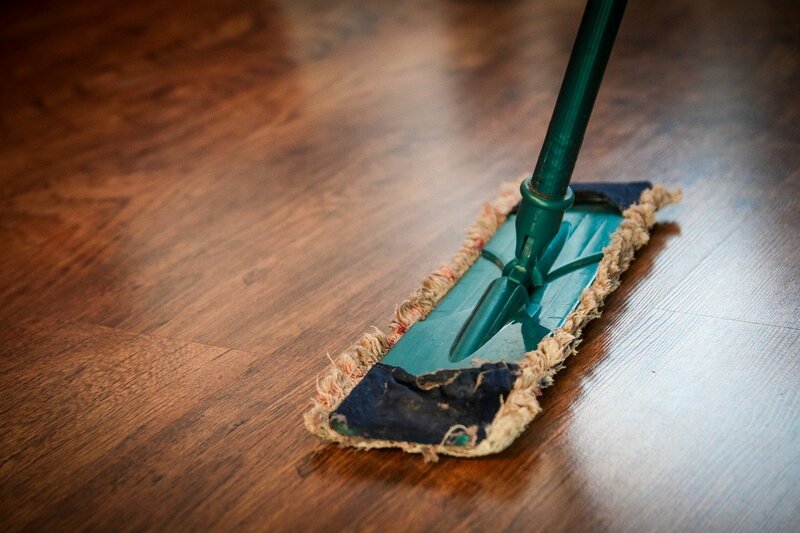 No, you should never use a steam mop to clean any hardwood (including bamboo flooring). 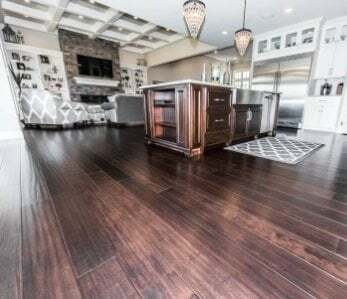 It may not affect the floor right away but repeatedly infusing bamboo floors with humidity can damage the finish and dimensional stability over time. Steam mops intensively pump out water vapor, which leads to moisture being infused into the wood. This infusion of water vapor can destabilize the cell structure of the bamboo plank resulting in swelling, warping and finish failure over time. Although bamboo hardwoods are typically , you’ll want to stick to using a micro-fiber mop with an approved cleaning solution to clean your bamboo flooring. Selecting a floor for your home is no easy task. Sometimes it feels like an endless sea of products and comparisons…and we are on a tiny inner tube “lost at sea.” We look for those important trademarks of a good floor: beauty, durability, price and everything in between. It’s hard to overstate the importance of a a good floor – it’s something that you and your family will love, live and laugh on for years to come. Additionally, for most households the practicalities of maintenance and cleaning are equally important considerations. 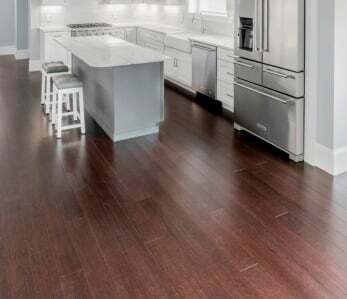 After all, most floors require regular maintenance after installation, so why not “brush” up on this time consuming chore to make sure the flooring you live on is as hassle-free as possible? With the explosion of increasingly popular and bamboo on the market, many consumers are confused – how exactly do you clean them? Is steam mopping suited for these two new wonder floors? 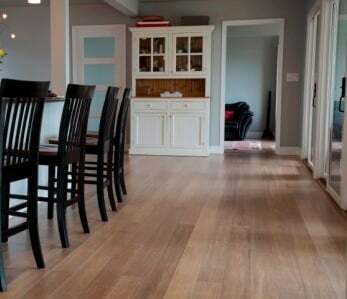 In this article we look over what products and processes are optimal for keeping your bamboo and eucalyptus hardwoods clean and beautiful for years to come. 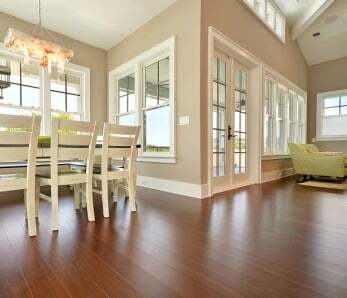 If you’re wondering how to clean bamboo flooring, there are many options available to you , including the use of popular Swiffer or Microfiber mops. You may be disheartened to hear this news if you purchased your steam mop and the demonstration showed them using it on a hardwood floor….but most wood flooring pros cringe when they see those demonstrations, as they know that long term steam cleaning of hardwoods can cause serious detriment to the floor. The steps below are for most bamboo floors with polyurethane finishes, which make up roughly 90% of all bamboo and eucalyptus floors that are sold. We always recommend checking with your floor’s manufacturer first to determine exactly what cleaning products and methods to use. If you want a more thorough guide, check out our blog post on . Step one: Clear all rubbish, dirt, and grime from the floor with a vacuum or broom. Step two: Select an approved cleaning product. 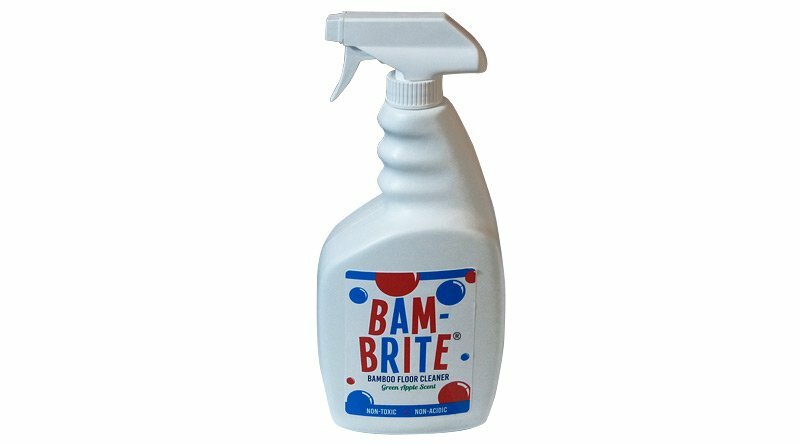 If you don’t have a recommended one we advise Bam-Brite Bamboo Floor Cleaner; alternatively you can use Bona hardwood floor cleaning kits or Swiffer wet jets for hardwood floors. Step three: Use a very lightly damp Swiffer or microfiber mop. Step four: Mop in small circular motions, applying more pressure where there is heavy soiling. Ensure there is no water residue left on the flooring when you’re done. Soap – oil based soap products will create a layer that eventually flakes off – resulting in a clean-up job from your cleaning! My Flooring’s Scratched! How can I Repair Bamboo Floor? For a white surface micro-scratch you can dab it with some mineral oil or a walnut, or use a scratch repair product such as WearMax Scratch Concealer. Where there’s a much deeper scratch or a chip, you can fill in the dent with a colored wax stick or a putty filler (such as Timbermate or Picobello). Mohawk sells a product called FillStik which works well on some gouges as well. Our biggest tip? Follow the manufacturer’s instructions for their advice on cleaning and maintaining your gorgeous bamboo flooring. Any reputable brand will include instructions as standard and will outline the correct cleaning procedure, as well as suitable cleaning products. NOTE: Sometimes using a product or method of cleaning other than the manufacturer’s recommendation could void the warranty should you later have issues with your flooring. So don’t run the risk just to save a few bucks! If you have no idea where the instructions may be, just look online for the original documentation. If you’re unsure what brand you purchased, contact the company you purchased from – they should be able to look up your order. Choosing the right cleaning products for your bamboo flooring is every bit as important as using the right cleaning method. 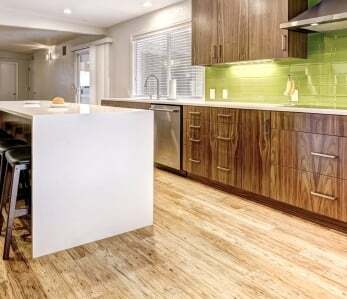 ‹ What’s It Cost To Install Bamboo Floors? Similar To Hardwoods?